Learning pathways for youth toward digital careers. 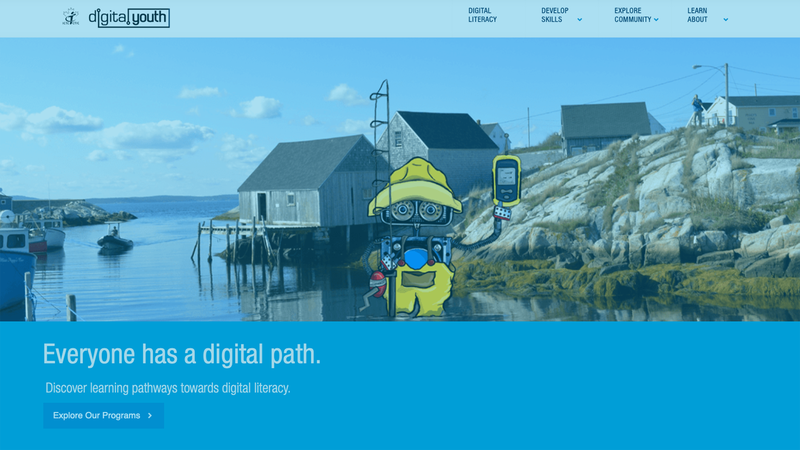 DigitalYouth creates learning pathways for youth toward digital careers. We work with educators and industry to create opportunities that support youth toward digital skills development. Our integrated digital skills education programs and experiential learning opportunities in and out of the classroom are designed to broaden the view young people have of technology and the role it can play in almost everything we do. 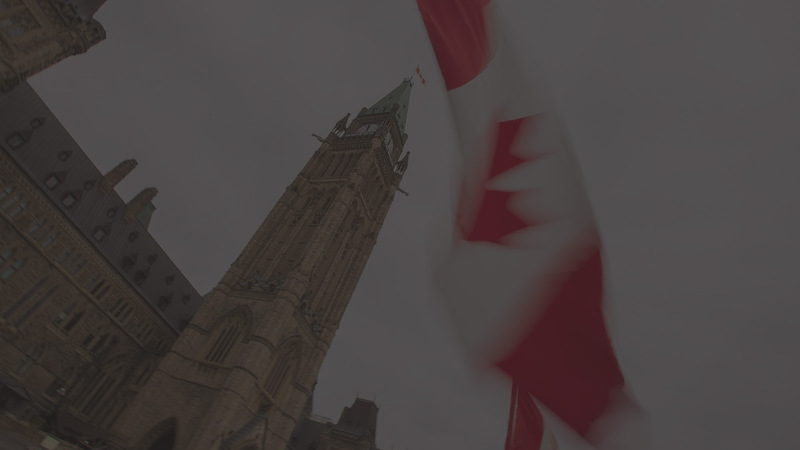 The e-Talent Portal is a unique online interactive map that will provide Canadians access to dynamic labour market information. 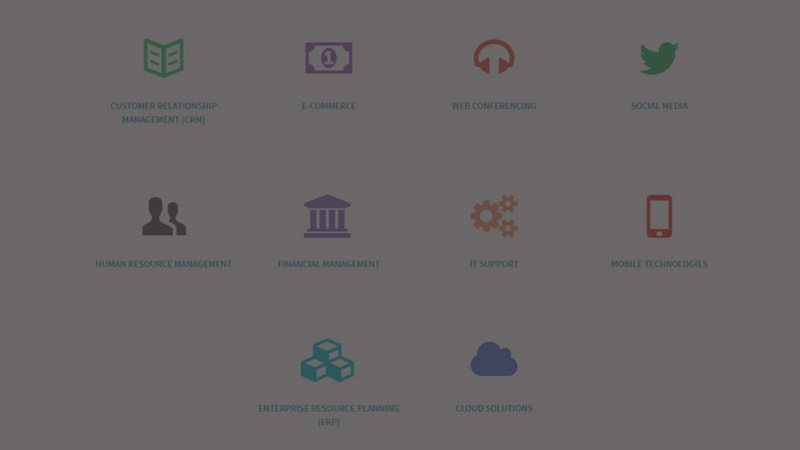 The portal provides ICT job trends and tools pertinent to all sectors; highlights which jobs are in-demand; who’s hiring; wages; demographics; educational institution that closely respond to the industry needs; and many other important factors from a national, provincial and municipal level. 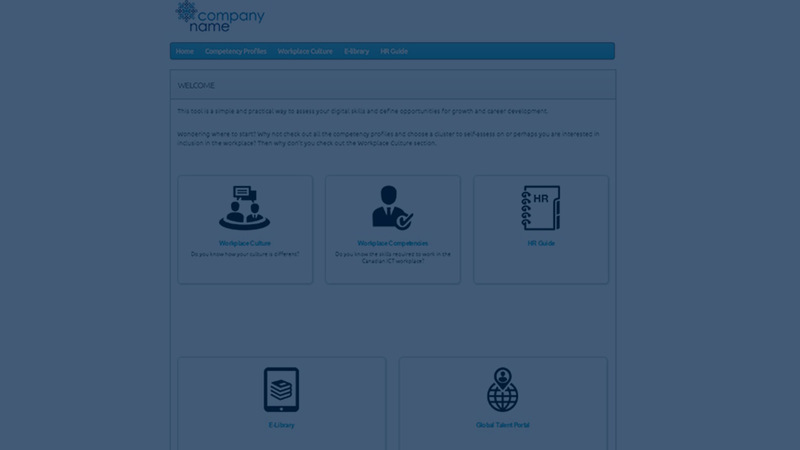 This unique tool will assist in finding the right talent to expand business and maintain a competitive advantage, and will be an invaluable source for those seeking new or upgraded employment opportunities. 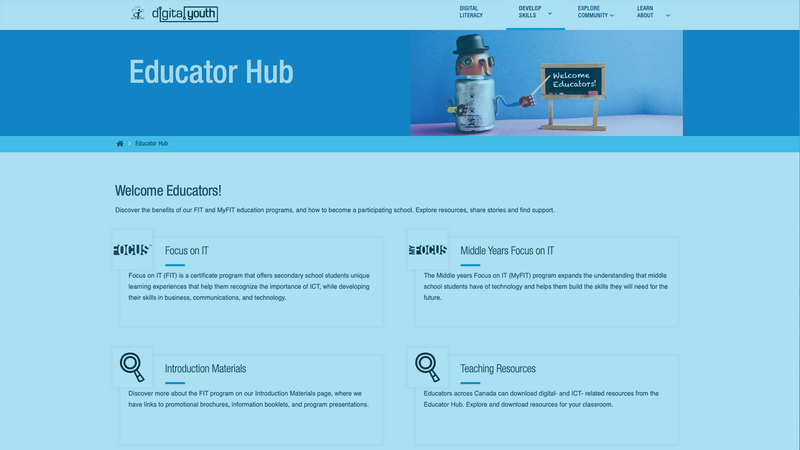 The Educator Hub is accessible through the DigitalYouth website. Discover the benefits of our FIT and MyFIT education programs, and how to become a participating school. Explore resources, share stories and find support. You have the talent, we have the tools! CyberTitan: As tomorrow’s leaders and innovators, youth are a vital talent pool to meet cyber security skill demands. Additionally, regardless of what career path youth choose, ensuring they develop cyber security skills in school is paramount to equip them with critical digital and cyber skills as the Internet of Things permeates their everyday lives. 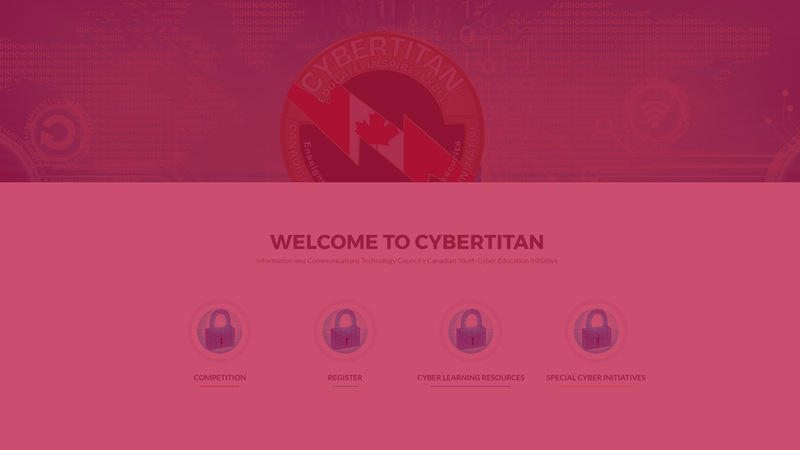 Recognizing the importance of this, we introduce CyberTitan, Canadian Youth Cyber Education Initiative. CyberTitan operates in affiliation with the (US) Air Force Association's CyberPatriot Program which is presented by the Northrop Grumman Foundation. CyberTitan is focused on preparing middle and secondary school students with skills for the digital economy by creating learning opportunities for students to engage in hands-on simulated environments that develop skills necessary to pursue post-secondary education programs, to learn skills essential to work in many STEM fields, and to identify roles students can play help to secure our systems. The Digital Adoption Compass (DAC) aims at assisting Micro, Small, and Medium-size Enterprises (MSMEs) gain the necessary knowledge to adopt digital technologies and expand scale and scope. The Virtual Community of Practice brings together individuals with interests and knowledge in digital technology and adoption to connect, collaborate, share information and experiences, and develop professionally. Researchers and business leaders will be able to share their expertise and experiences and develop a shared repertoire of resources to build knowledge and skills in digital literacy and adoption. 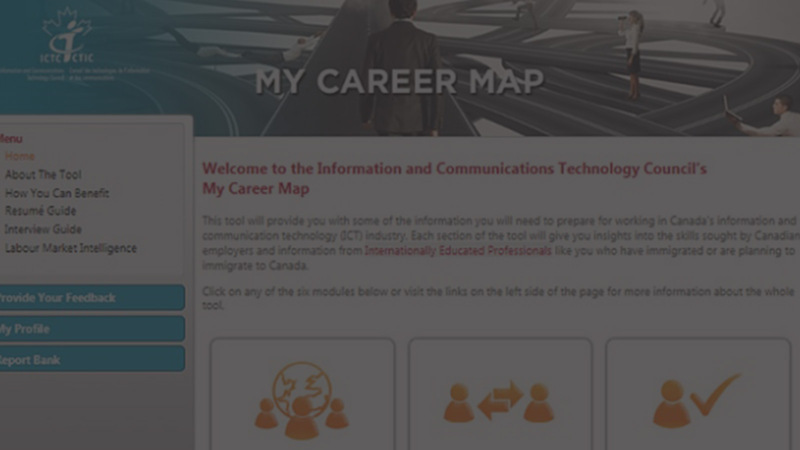 My Career Map is a self-assessment tool that prepares workers for a successful career in technology. My Career Map is a professional development tool that allows users to determine their strengths and areas for development. Helpful guides and tips will skill users in resume writing, interviewing and workplace communications. Information is also provided on provincial labour market trends that will increase users’ competitive advantage. ICTC’s Workshops Online is an e-learning tool that provides essential knowledge about working in Canada to Internationally Educated Professionals (IEPs). 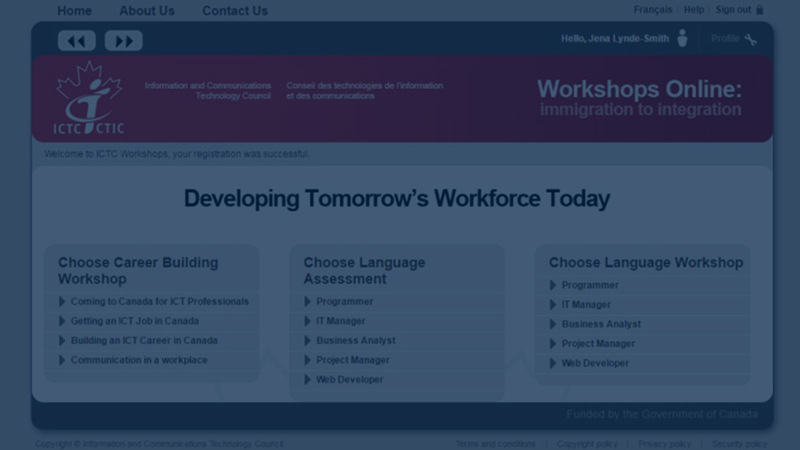 The tool includes information about the immigrating to Canada while also outlining what the Canadian ICT employers are looking for. The tool also provides resources to help develop various skills including: technical, business, workplace communication, and language skills. The Focus on IT (FIT) program encourages youth to learn information and communications technology (ICT) skills at the secondary school level. The aim is to encourage young Canadians to pursue post-secondary education and enter the workforce equipped with high-demand digital and ICT skills that will help them achieve their career goals. The disconnect between the current Canadian labour market and education is concerning as students are filtered into irrelevant and expensive educational pathways. With FIT, the goal is to encourage young people to pursue realistic and employable careers. 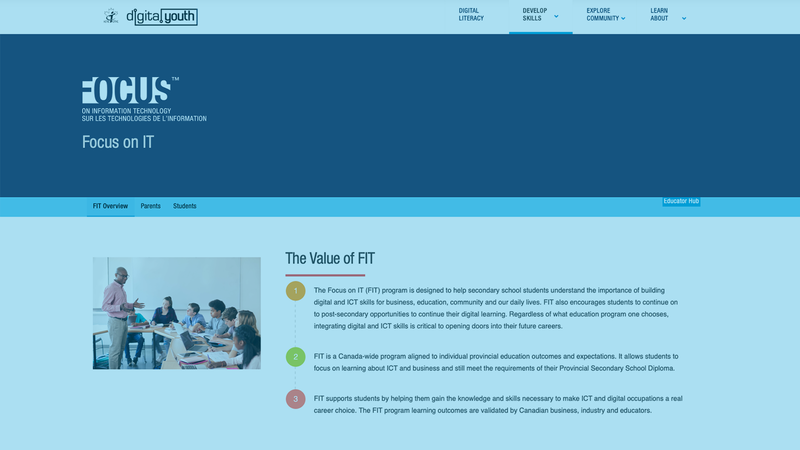 ICTC implements the FIT program in collaboration with provincial and territorial Ministries of Education, school boards, and individual schools. The FIT program is designed to be delivered in a complete and uniform way, in as many schools as possible across Canada. As each province and territory is unique in funding, infrastructure and educational guidelines, the implementation of the FIT program may vary. An all-access pass to help you build your digital and ICT skills. 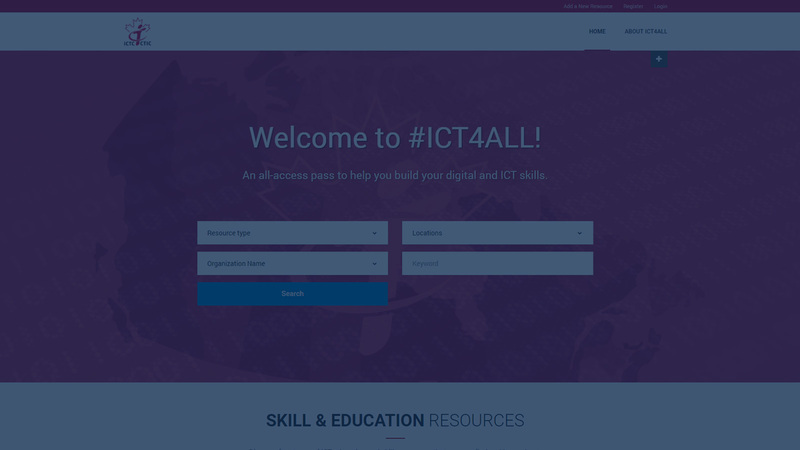 Introducing #ICT4ALL – by ICTC’s National Education & Skills Leadership Taskforce: This resource is a just at a starting point! We’ve compiled an online database of numerous tools and resources available for you amazing educators to help you incorporate the world of Information and Communication Technology (ICT) and STEM learning into your classrooms. Thank you to our Canadian Leadership Taskforce on Education and Skills who have kick-started this initiative by including their education and skills tools and resources, as well as Ladies Learning Code for sharing their resource list. For all of you who have resources and tools to share, please include your information on our site so that more educators and learners will find out about your initiatives. Visit ICT4ALL today!